Isak Bakli Aglen and Jonas Strand Gravli play teens who are on the Norwegian island of Utøya during the 2011 terror attacks in Paul Greengrass' new film, 22 July. The film is being released Wednesday on both Netflix and in 100 theaters worldwide. Paul Greengrass' 22 July is one of the latter. You see, this superbly made docudrama portrays one of the ghastliest events in modern European history. I'm sure you remember it: On July 22, 2011, a Norwegian right-winger named Anders Behring Breivik murdered 77 people, most of them teenagers, leaving hundreds more wounded. This is not exactly an enticing subject, so you'll be relieved to hear that Greengrass doesn't build his whole film to a drawn-out slaughter. In fact, 22 July opens with Breivik — played by the great Norwegian actor Anders Danielsen Lie — going about his grisly task. He readies his car bomb, leaves it outside the prime minister's office, and then, as it blows up, drives to the holiday island of Utøya, which we've watched fill up with happy teens going to a Workers' Youth League summer camp. There he calmly guns down 69 of them, in hopes of wiping out the next generation of the Labour Party. Most of the movie is aftermath. We watch Breivik go through the criminal justice system, which examines him for insanity even as he brims with the smug certainty that he's the sanest and smartest guy in the room — why, he's even written a 1,500-page screed to prove his brilliance. 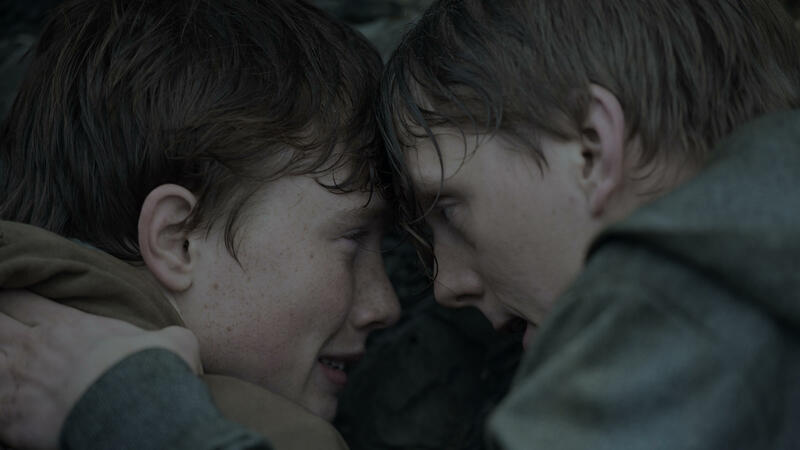 Paralleling Breivik's journey is the painful recovery of one of his teen victims, Viljar, a generous, caring kid played by Jonas Strand Gravli, whose traumatized, hollow-eyed performance packs an emotional wallop that never feels sentimental. Now, any film about a mass murder raises questions of morality — not only the killer's but also the filmmaker's. Is there an honorable reason to make us see such horrors? And if there is, how does one do it without being exploitative, without turning real people's real suffering into entertainment? Greengrass has a knack for capturing the texture and flow of actual events, but in earlier movies like Bloody Sunday and United 93, his taut, kinetic filmmaking sometimes overwhelmed any deeper or more reflective sense of meaning. This isn't true of 22 July. For starters, his depiction of Breivik's killing spree goes out of its way to be, if not muted, at least not sensational. Greengrass doesn't dwell on the violence or make it thrilling as does, say, the famous Normandy beach opening of Saving Private Ryan. His subject isn't actually the crime but today's political situation. First, he suggests the dangers of right-wing extremism, of which Breivik is a not atypical case. In her superb book on the killings, One of Us , which is the basis for the film, Åsne Seierstad shows how Breivik's ethno-nationalist ideas, though heartfelt, were essentially those of narcissistic loner not a political operative. Unloved at home, Breivik grew up a solitary, damaged kid who was cruel to animals — a telltale lack of empathy that would, years later, lead him to obsess about the small cut on his finger he got while slaughtering scores of people. Political violence was the cauldron into which he poured his anger and his burning desire to be somebody. Which isn't to say that Breivik's political philosophy is accidental, let alone irrelevant. His profound sense of grievance was fueled by extreme right-wing ideas and meshed with that movement's belief that compassion is weakness. Greengrass makes it clear that, in his violent hatred of immigrants, multiculturalism and the left, Breivik was no ideological aberration. Yet he refuses to make a killer the center of his film. 22 July gives equal weight to those who must deal with the consequences of Breivik's deeds, from Prime Minister Jens Stoltenberg, who insists that Norway shouldn't panic into becoming a closed-off and less democratic state, to the wounded teen Viljar, who becomes the living symbol of the victims. Blinded in one eye and with a bullet lodged in his brain, Viljar teaches himself to walk again, to face up to his assailant and to rejoin the open society that had been under attack. If Anders Behring Breivik represents today's West at its self-devouring worst, the movie wants us to see that Viljar's endurance offers a reason for hope. This is FRESH AIR. The story of the 2011 terror attack on a Norwegian summer camp is the subject of a new movie by Paul Greengrass, the British filmmaker best known for such acclaimed docudramas as "Bloody Sunday," "United 93" and "Captain Phillips." His new film called "22 July" is being released tomorrow on both Netflix and in 100 theaters worldwide. Our critic-at-large John Powers says it's daunting but good. JOHN POWERS, BYLINE: Everyone is familiar with the official film genres like the Western or the romantic comedy. But most of us divide movies into less intellectual categories. There are movies that everybody has to see, like "A Star Is Born." There are movies you couldn't pay me to see. In my case, that's anything with the word saw in its title. And then there are movies we know we ought to see but dread having to go. Paul Greengrass' "22 July" is one of the latter. You see; this superbly made docudrama portrays one of the ghastly events in modern European history. I'm sure you remember it. On July 22, 2011, a Norwegian right-winger named Anders Behring Breivik murdered 77 people, most of them teenagers, leaving hundreds more wounded. This is not exactly an enticing subject. So you'll be relieved to hear that Greengrass doesn't build his whole film to a drawn out slaughter. In fact, "22 July" opens with Breivik, played by the great Norwegian actor Anders Danielsen Lie, going about his grisly task. He readies his car bomb, leaves it outside the prime minister's office and then, as it blows up, drives to the holiday island of Utoya, which we've watched fill up with happy teens going to a Workers' Youth League summer camp. There, he calmly guns down 69 of them in hopes of wiping out the next generation of the Labour Party. Most of the movie is aftermath. We watch Breivik go through the criminal justice system, which examines him for insanity even as he brims with the smug certainty that he's the sanest and smartest guy in the room. Why, he's even written a 5,300-page screen to prove his brilliance. Paralleling Breivik's journey is the painful recovery of one of his teen victims, Viljar, a generous, caring kid played by Jonas Strand Gravli whose traumatized, hollow-eyed performance packs an emotional wallop that never feels sentimental. Here, Viljar's mother asks her still-hobbled son if he's ready to testify against Breivik. JONAS STRAND GRAVLI: (As Viljar) I'm not ready. MARIA BOCK: (As Christin) That's OK. You don't need to do it. GRAVLI: (As Viljar) No, it's not. I need to do it. BOCK: (As Christin) Well, don't push yourself so hard. Just say a few words. That's all. GRAVLI: (As Viljar) And say what? BOCK: (As Christin) What happened, the truth. GRAVLI: (As Viljar) That I cry in my sleep, that I can't talk to strangers, that I'm frightened of dying - I'd rather not go than let him hear that. UNIDENTIFIED ACTOR: (As character) Then what is it you want? GRAVLI: (As Viljar) I want to make him see what he's done. I just want to beat him. UNIDENTIFIED ACTOR: (As character) Well, maybe this is your chance. POWERS: Now, any film about a mass murderer raises questions of morality, not only the killer's but the filmmaker's. Is there an honorable reason to make us see such horrors? And if there is, how does one do it without being exploitative, without turning real people's real suffering into entertainment? Greengrass has a knack for capturing the texture and flow of actual events. But in earlier movies like "Bloody Sunday" and "United 93," his taut, kinetic filmmaking sometimes overwhelmed any deeper or more reflective sense of meaning. This isn't true of "22 July." For starters, his depiction of Breivik's killing spree goes out of its way to be, if not muted, at least unsensational. Greengrass doesn't dwell on the violence or make it thrilling as does, say, the famous Normandy Beach opening of "Saving Private Ryan." His subject isn't actually the crime but today's political situation. First, he suggests the dangers of right-wing extremism of which Breivik is a not-atypical case. In her superb book on the killings, "One Of Us," which is the basis for the film, Asne Seierstad shows how Breivik's ethno-nationalist ideas, though heartfelt, were essentially those of a narcissistic loner, not a political operative. Unloved at home, he grew up a solitary, damaged kid who was cruel to animals, a telltale lack of empathy that would years later lead him to obsess about the small cut on his finger he got while slaughtering scores of people. Political violence was the cauldron into which he poured his anger and his burning desire to be somebody, which isn't to say that Breivik's political philosophy is accidental, let alone irrelevant. His profound sense of grievance was fueled by extreme right-wing ideas and meshed with that movement's belief that compassion is weakness. Greengrass makes it clear that, in his violent hatred of immigrants, multiculturalism and the left, Breivik was no ideological aberration. Yet he refuses to make a killer the center of his film; "22 July" gives equal weight to those who must deal with the consequences of Breivik's deeds, from Prime Minister Jens Stoltenberg, who insists that Norway shouldn't panic into becoming a closed-off and less democratic state, to the wounded teen Viljar, who becomes the living symbol of the victims. Blinded in one eye and with a bullet lodged in his brain, Viljar teaches himself to walk again, to face up to his assailant and to rejoin the open society that had been under attack. If Anders Behring Breivik represents today's West and self-devouring worst, the movie wants us to see that Viljar's endurance offers a reason for hope. JOHN F. KENNEDY: I believe that this nation should commit itself to achieving the goal of landing a man on the moon. GROSS: ...My guest will be Damien Chazelle, who directed the new film "First Man" about Neil Armstrong, the first man to walk on the moon. Chazelle also wrote and directed "La La Land" and "Whiplash." I hope you'll join us. GROSS: We'll close with music by the baritone saxophonist and composer Hamiet Bluiett, a member of the World Saxophone Quartet. He died Thursday at the age of 78. He was one of the most important baritone saxophone players in jazz history. The New York Times obituary described his playing as marrying a dazzling physical command of the instrument with a passion for the full scope of the blues tradition. With an astonishing five-octave range, he could leap into registers that had been thought inaccessible on the baritone. This is Bluiett's arrangement of Duke Ellington's "Come Sunday," performed by the World Saxophone Quartet. (SOUNDBITE OF THE WORLD SAXOPHONE QUARTET PERFORMANCE OF HAMIET BLUIETT ARRANGEMENT OF DUKE ELLINGTON'S "COME SUNDAY") Transcript provided by NPR, Copyright NPR.